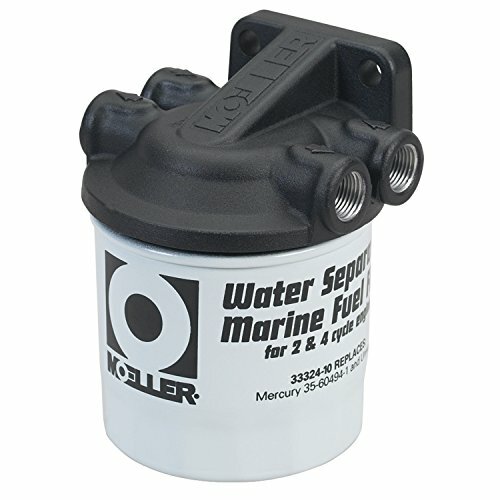 The Moeller 033320-10 10 Micron Water Separating Filter Kit is designed for Mercury, Johnson, Evinrude, Yamaha, Suzuki, Honda, Tohatsu and Nissan engines, along with universal applications. Includes a powder coated reusable filter head, filter, barbs and plugs. Not recommended for use with electric fuel pumps. If you have any questions about this product by Moeller, contact us by completing and submitting the form below. If you are looking for a specif part number, please include it with your message.